MEDFORD, OR. — (July 11, 2016) — Rogue Valley Microdevices, a full-service precision MicroElectroMechanical Systems (MEMS) foundry specializing in MEMS device manufacturing and wafer services, will award one LEGO® MINDSTORMS® Education EV3 Curriculum Solution to an attendee of SEMICON West (#SEMICONWest), held July 12-14 in San Francisco. In a twist on the typical tradeshow giveaway — which usually goes home in a suitcase – the winning attendee will select the educational institution that receives the LEGO MINDSTORMS solution. The LEGO MINDSTORMS Education EV3 Curriculum Solution, valued at $2,419.95, is the complete bundle for teaching computer science and STEM subjects using robotics in the classroom. 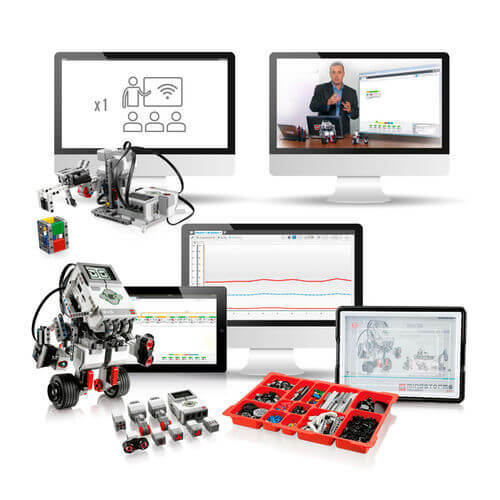 From LEGO bricks and elements to lesson plans, engineering software and assessment tools, the LEGO MINDSTORMS Education EV3 Curriculum Solution contains everything an educator needs in one convenient teaching solution. SEMICON West attendees can enter the drawing by bringing their business card to Rogue Valley Microdevices’ booth # 2444 at SEMICON West, July 12-14, 2016. Rogue Valley Microdevices will select the winner — who does not need to be present to win — at their booth on July 14. The company will contact the winner to request information on the educational institution to which it will send the LEGO MINDSTORMS solution. Find more information about SEMICON West at: https://www.semiconwest.org/ and stay in touch via Facebook at www.facebook.com/SEMICONWest and Twitter at www.twitter.com/SEMIexpos (use #SEMICONWest).